Most readers will probably be surprised to learn that more and more scholars are in agreement that it can no longer be denied that Buddhism has influenced Christianity in various ways. At the same time it must also be said that there is by no means any consensus when it comes to the nature and the extent of the influence that Buddhism has exerted upon Christianity. One of the very few scholars familiar with the relevant Buddhist and Christian sources in the original languages is J. Duncan M. Derrett, who has devoted himself to the New Testament since 1957. His six learned volumes of Studies in the New Testament are a mine of information about difficult and obscure passages in the New Testament. Derrett is one of the rare persons who is also familiar with the Buddhist sources, above all in Pâli and Sanskrit. In 2000, he published the important book The Bible and the Buddhists. Since I have already published a long review of Dr. Derrett's book elsewhere, it will be sufficient here to say that Dr. Derrett believes that, being entrepreneurs in the same line of business, working in the same fields, Buddhists and Christian missionaries examined each other's stock, and 'put their heads together.' This is his basic assumption, and there is no lack of historical evidence in support of its likelihood. It goes without saying that traditional theologians as a rule treat such 'revisionist' views of Christianity with silence or supercilious rejection without any arguments. Most historians of religions also tend to avoid the issue, mainly, I assume, because they lack the language skills that are absolutely necessary for comparing the Buddhist and the Christian sources. Without a good knowledge of Greek, Hebrew, Aramaic, and, above all, Sanskrit and Pâli - not to speak of Classical Tibetan and Chinese - one cannot seriously engage in this new field of studies - Comparative Gospel Studies (CGS), if I may use that expression. Dr. Derrett, as said, is convinced that there is a historical relationship and that this relationship, moreover, is a mutual one. In some cases, the NT has gained from Buddhist models. In other cases, the Buddhists seem to have adopted materials from the New Testament. There are also quite a few cases where Buddhists and Christians may have gained reciprocally, and finally there are cases where it seems impossible to claim that either influenced the other. The reader who wishes to go further into this field will do well in starting out with Dr. Derrett's indispensable contribution. Some other important books related to CGS have been published in recent decades. All of them are listed in Derrett's Bibliography, pp. 118-123, and there is no need for me to repeat them here. There are only two titles, to which I would want to call the reader's attention here: Zacharias P. Thundy, Buddha and Christ, Leiden 1993, and E.R. Gruber & Holger Kersten, The Original Jesus, Shaftesbury, Dorset 1995. Both of them are excellent introductions to CGS, and they are still in print. Derrett sees himself as a detective not caring where evidence leads him. His work is not apologetic. (The author, who has conducted an extensive correspondence with Dr. Derrett for the last couple of years, can confirm that these words are true to fact.) With reference to the books published in the two decades 1975-1995, Dr. Derrett states that they, as a judge would say, "set up a case to be answered." This is true. In many ways this author agrees with the results arrived at by previous researchers in the field of CGS. In general, however, these scholars have been satisfied if they could point out parallels, similar ideas, or similar motives. This author asks for more. Parallels are not sufficient. To be on firm ground, we must "require close verbal similarity" - something that Derrett, with Garbe and virtually all other scholars, feel would be "to ask too much." When I insist that we must ask for close verbal similarity, I have a good reason for doing so. 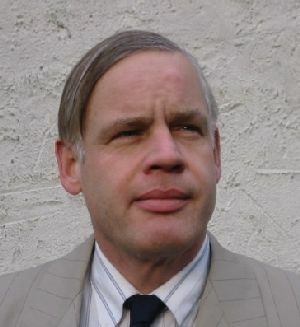 The main Buddhist source of the New Testament gospels is the bulky Sanskrit text of the Mûlasarvâstivâdavinaya (MSV), and this text was simply not available to previous scholars, including Derrett - who was, as he writes, "shocked" when he received a copy of that text, first published in 1977, from me not long ago, after he had published his own book. I had published a review of the MSV way back in 1983 in the journal Acta Orientalia, and, of course, read the Sanskrit text before preparing the brief review. Then I turned to other matters. Six or seven years ago, I turned to New Testament studies. One late evening it struck me that what I now was reading in Greek I had already read some years ago, but in Sanskrit. Could the MSV really be a source of passages in the New Testament? So I started comparing systematically the Greek with the Sanskrit. It was a thrill; I could hardly believe my own eyes! Comparing, then, the two sources carefully word for word, sentence for sentence, motive for motive, for some years, I came to the firm conclusion that the New Testament gospels could be well be described as 'Pirate copies' of the MSV. Gradually it also became clear to me that other Buddhists texts had also been used by the otherwise unknown authors of the NT gospels. The most important source apart from the MSV, it is now clear to me, is the famous Lotus Sutra, known in Sanskrit as the Saddharmapundarîkasûtram. About this famous text, I need not do much more than refer the interested reader to the Internet. In October 2003, I found more than 41,000 references on Google to the famous Lotus Sutra, now easily available in several English versions (from the Sanskrit and the Chinese). If asked for just "one proof" that the Sad-dhar-ma-pun-da-rî-ka-sû-tram was known to the authors of the New Testament, I may refer Revelations 13:18, which is, as explained below, a direct 'translation' of the title of the most important Buddhist source apart from MSV. I wrote numerous papers about my new observations. Each day brought new discoveries. With the exception of some Indian journals, no editor in Europe dared to publish any of these papers! Finally, I managed to find a controversial Swedish publisher who was delighted to publish my first book in this field: Hemligheten om Kristus, Klavreström 2003. It is clear, as one intelligent observed remarked, that my new thesis, if valid, is 'an atomic bomb.' It is perfectly understandable that my thesis is, as another colleague noted, a we-do-not-want-to-hear-this thesis. But more and more competent scholars - including Dr. Derrett - are now prepared to admit that "Lindtner's initiative should be taken seriously." One excellent scholar who will not only not be offended but even be interested in my new thesis is Dr. Robert Faurisson. When I first met Dr. Faurisson in Vichy, we discussed, among other things, textual criticism. He did not have to tell me "to read what the text actually says" - this was only what I myself, as a Classical and Oriental philologist, had always been telling my own students to do. The following contribution will, I hope, give the reader an impression of how I have read the Sanskrit and Greek texts that are here in the focus of New Testament revisionism. By tracing them to their primary sources, I have done my best to figure out what the Greek texts really say - not merely what they are generally assumed to say. I have done my best to present my observations in a simple fashion, showing, of course, only the tip of the iceberg. But in this regard I may have failed. The issue is, for reasons that will emerge in due course, extremely complex. We are in pioneer territory. Apart from the discovery that the NT gospels depend on Buddhist sources in Sanskrit, there is something else that will come as a surprise even to learned theologians. The Greek text of the gospels is, on the whole, an extremely artificial work. Recent research has shown that each word and syllable has been carefully counted. Many names and words have been chosen only for their numerical value. Often, the gospels imitate the numerical patterns of the original Sanskrit - again a new observation not made by any previous Buddhologist. For example, Peter is known as Kêphas, giving the numerical value of 20+8+500+1+200 = 729. Peter is also known as petra, 'Foundation Stone,' the numerical value (Greek psêphos) here being 80+5+300+100 +1 = 486. The figures 729 and 486 have something in common: Start by making a large cube of 9×9×9 smaller cubes, giving you a total of 729 cubes. This large cube has, of course, a total surface area of 6×9×9 = 486. The names Kêphas and petra, we may therefore suspect, were chosen for their numerical values, and these numerical values, again, were chosen for the geometrical figure, the cube, to which they refer. Peter, as known, was chosen by Jesus (whose own psêphos is 888, another extremely important figure) to be the foundation stone of the church. The example is by no means unique. I have pointed out numerous other examples of the same sort in my book Hemligheten om Kristus, and in my paper "Gematria in the Gospels." The examples of names, sentences, paragraphs, and chapters having been fabricated for a numerical value that corresponds to a given geometrical figure are so numerous that we are now allowed, on the basis of overwhelming cumulative evidence, to conclude that the gospels were, literally, 'fabricated,' or 'made up.' They do not reflect historical facts, they fabricate them. As a whole, the gospels, therefore, are like a mosaic, or a collage. The little pebbles that they are made up of are, as a rule, either taken from the Buddhist sources or from the Old Testament. Historically speaking, the unknown authors of the gospels were not the first to give numbers to persons. Among the Greeks, Aristotle was already aware of followers of Pythagoras, who calculated the word-numbers not only of men, but even of horses and plants. Gematria, as it is called, was also quite popular among the Jews. In his book Das Alphabet in Mystik und Magie, Franz Dornseiff has called attention to a nice example of this. Two rabbis disputed about the identity of the true Messiah among several candidates. Was his name Menahem or was it Semach? When it was seen, however, that both names have the same psêphos, viz. 138, there was an end to their disagreement. So the decisive thing for these people was obviously the numerical value of names - their psêphos. It does not matter that it makes nonsense to compare two things. The important thing is that it does not make nonnumber to compare them. Jesus is famous, if not notorious, among other things, for his parables. Typically, Jesus relates a parable, his disciples are puzzled, ask for an explanation, and Jesus then provides some sort of explanation. As a rule, his parables are intended to shed light on his curious idea of 'the kingdom of God' - a concept fundamental to his gospel, but, amazingly, never defined in plain words in the only sources we possess: The four Gospels of the New Testament. All the relevant sources concerning 'Das Reich Gottes' have been collected and discussed systematically. The Sanskrit original of 'Das Reich Gottes' - to which I shall come back in a moment - remains unknown to Feine and all his theological colleagues, however. The Greek term for 'parable' found in Matthew, Mark, and Luke, is para-bolê. The precise references may be found in any NT dictionary or concordance. It translates Sanskrit paryâyas, which is a synonym, in which the original pa-ri- becomes pa-ra-, and in which the -âyas becomes -bolê. The Greek thus translates by imitating and combining the sound and the sense of the original Sanskrit. 1)	polla en parabolais, 'many (things) in parables,' Matthew 13:3 etc. 2)	allên parabolên, 'another parable,' Matthew 13:33 etc. 3)	en parabolais, 'in parables,' Matthew 22:1 etc. Clearly, the Sanskrit aneka- becomes either polla, 'many,' or allên, 'another.' The original instrumental case of paryâyena is retained in the Greek parabolais, now in the plural. Furthermore, the final -n in parabolên retains the -n in the original San. paryâyena. We can therefore say that the Greek is an imitation of the Sanskrit. asmin khalu dharmaparyâye bhâsyamâne... 'When this Dharma-parable was being spoken (by Bhagavat)...' (e.g. SBV I, 160). Along with the Saddharmapundarîka, the Samghabhedavastu (SBV) is, as mentioned, one of the most important sources of the NT Gospels. The Sanskrit text was edited by R. Gnoli, Roma 1977-78. The SBV is again a part of the Mûlasarvâstivâda-Vinaya, as are the Catusparisatsûtra and the Mahâparinirvânasûtra (both of which were previously edited by Ernst Waldschmidt). Here the final bhâsyamâne, 'being spoken,' becomes the initial elalêsen, 'he spoke.' The subject of the sentence is left out in the Sanskrit as well as in the Greek. In both cases it is the same subject that is understood, namely Bhagavat or Jesus. Furthermore, the pronoun asmin becomes the pronoun autois. The polla of the Greek reflects the dharma- of the Sanskrit. At the same time, as said, the polla reflects the sense of aneka-, in aneka-paryâyena. Matthew, in other words, combines elements from two different sentences. The Greek polla for San. dharma- is not exact, but it is not wrong. It is a partial synonym. The Sanskrit phrase consists of 5 different words and of 13 syllables. The Greek version, or imitation, likewise consists of 5 different words and of 13 syllables. There is a verb, two nouns and a pronoun in the original. The same observation applies to the Greek version. Furthermore, each group of words consists of the same number of syllables, bhâs-ya-mâ-ne and e-la-lê-sen each consist of 4 syllables etc. When Matthew was so meticulous that he counted each word and each syllable of the original, he cannot have been pleased with having to leave out the kh and the l of khalu. I shall come back to the missing khalu in a moment. Matthew 13:34, quoted here, consists of 5 'limbs,' of 15 words and of 8+3+8+7+7 = 33 syllables. Basing himself exclusively on the Greek text, the Dutch theologian J. Smit Sibinga observed in 1970 that Matthew "arranged his text in such a way, that the size of the individual sections is fixed by a determined number of syllables. The individual parts of a sentence, the sentences themselves, sections of a smaller and larger size, they are, all of them, characterized in a purely quantitative way by their number of syllables." This general observation has proved true, also by subsequent research, and it obviously also applies to Matthew 13:34. What Smit Sibinga could offer no explanation for, however, was the crucial question: Why did Matthew let his text be fixed by a determined number of syllables? The answer is simple, but only if one knows the Buddhist sources: Smit Sibinga was simply not aware of the fact that Matthew was imitating the determined number of syllables found in the corresponding Sanskrit text that he was translating or imitating. In a very important book, M.J.J. Menken, a student of Smit Sibinga, arrived at the same result, namely that John, in many sections, also counted the syllables and the words. Like Smit Sibinga, Menken could offer no explanation why this was so. It is clear that the evangelists counted words and syllables, but it is not clear why they did so. To repeat: The explanation is that the evangelists - not just Matthew and John - imitated the words and syllables of the Sanskrit original. What Smit Sibinga and Menken, with their ignorance of Sanskrit, could not possibly know was that the evangelists also imitated the consonants of the original Sanskrit. Just as the 8 syllables of tauta panta elalêsen correspond to the 8 syllables of en parabolais tois okhlois, thus the 7 syllables of kai khôris parabolês match with the 7 syllables of ouden elalei autois. The 3 syllables of ho 'Jêsous are 'inserted,' and they correspond to the 3 syllables of Bha-ga-vân, understood as the agent in the original Sanskrit. The 'the Jesus,' therefore, translates the sense of Bhagavân (nominative form). The Greek ho is, therefore, a sort of pâdapûranam, a 'filler.' Without the ho, we would only have two syllables. Setting aside the ho 'Jêsous, we have two sentences, the first consists of 8+8 syllables, the second of 7+7 syllables. Now we can come back to the khalu that was missing above. The consonants of khalu are reflected in the okhlois as well as in the khôris. The kh-l of the Sanskrit becomes kh-l or kh-r in the Greek. The semivowels l and r are, as a rule, equivalent (as when râjâ becomes lâjâ etc.). But there is also another observation to be made with regard to Matthew 13:34. Not only do we have two sentences consisting of 8+8 plus 7+7 syllables. We may also say that just as the initial 8 syllables of tauta panta elalêsen correspond to the final 7 syllables of ouden elalei autois, thus the 8 syllables of en parabolais tois okhlois correspond to the 7 syllables of kai khôris parabolês. So we have not only an 8+8 plus 7+7 pattern but also an 8+7 plus 8+7 pattern. Once the observation has been made that the tauta panta elalêsen corresponds to the ouden elalei autois, we can make yet another observation, namely that just as elalêsen corresponds to elalei, thus tauta panta corresponds to ouden...autois. This again implies that the original dharma- becomes tauta and ouden. As said, the 8 syllables of en parabolais tois okhlois also correspond with the 7 syllables of kai khôris parabolês. The initial parabolais matches with the final parabolês, and the final tois okhlois matches with the initial kai khôris. This again means that the parabolais/parabolês reflects the San. paryâye/paryâyena, and that kai khôris/tois okhlois reflects the asmin khalu. This identification, however, leaves us with the problem that the Greek has 3 syllables where the San. as-min kha-lu has 4 syllables. When we look at the Sanskrit phrase, however, we often find that the khalu has been left out. Thus the Sanskrit only has 2 syllables, asmin or even tasmin. With its 3 syllables, therefore, the Greek covers both possibilities. The final -s in khôris and okhlois is to be had from the s in asmin or tasmin. The conclusion is that the Greek is a meticulous imitation of the Sanskrit. This is the only case where we can ascertain the Hebrew equivalent - namely mâshâl - behind the Greek parabolê. Without being able to point out any other direct Hebrew source for the Greek parabolê in the NT Gospels (where it occurs 48 times), the opinio communis among theologians is that Greek parabolê always renders Hebrew mâshâl, the plural of which is meshâlim. It goes without saying that it is a logical fallacy to argue that if Hebrew mashal in one case becomes Greek parabolê, then Hebrew mashal in all other cases - without any kind of independent evidence in support of that claim - becomes Greek parabolê. (See e.g. Birger Gerhardsson, Jesu liknelser, Lund 1999, for a good discussion of the traditional views about the usage of parabolê etc.) For instance, Jesus does not always call Peter Peter. Once we have identified the original Sanskrit sources, we can say for sure that Greek parabolê as a rule renders Sanskrit paryâyas, just as paroimia in John renders San. paryâyas and upamayâ. At the same time - and this is also a new observation - it must be noted that parabolê also has the sense it has in Greek geometry, namely 'application' of a drawing. Having said so much about the Sanskrit originals of the term 'parable,' let us now look closer at one of the most famous Christian and Buddhist parables! All Christians are familiar with the story of the rich young man who came to Jesus wanting to know how he could have eternal life. Jesus explains that it is easier for a camel to go through a needle's eye, than for a rich man to enter the kingdom of God. To judge from the context, the expressions 'life eternal,' 'the kingdom of heaven,' and 'the kingdom of God' are more or less synonyms. Likewise, all Buddhists are familiar with the parable of the fool (bâla) in hell, for whom it is extremely difficult to become reborn as a human being (manusya, purusa). It is easier for a tortoise in the ocean by chance to put its neck through the hole in a yoke flowing on the water. The simile of the tortoise and the yoke-hole is given in various Buddhists sources, including Therîgathâ 500, Satapancâsatka 5, Sûtrâlamkâra, Nâgârjuna's Suhrllekha 59, Saddharmapundarîkasûtra (ed. Kern, p. 463), Dvâvimsatyavadâna etc. A Pâli version - too long to be cited here - is found in the Majjhima-Nikâya III, p. 169. The simile of the turtle (kûrmas) and the hole in the yoke (yuga-cchidram) is, in other words, used to illustrate the extreme rareness any sort of appearance or rebirth, be it as a human being or as a Buddha. Here, then, are two different parables, the first familiar to many a Christian, the second to many a Buddhist. But where is the Christian, and where is the Buddhist who is aware of the fact that the parable of the rich man and the camel is, in fact, but a distorted imitation of the parable of the man and the turtle? Both parables have to do with the rareness of a good rebirth. The Greek text of Matthew 19:28 even provides the term for 'rebirth,' namely palingenesia. Modern versions understandably have problems with translating the palingenesia: 'regeneration,' 'renewal (of creation),' 'the new world,' 'the renewal of all things,' etc. The Latin Vulgata has 'regeneratio' for palingenesia. It is, again, rather typical, and amusing, that Jesus introduces a heavily loaded technical term without any sort of definition. In Matthew 19:23, Jesus refers to the person in question as a plousios, 'rich.' There is no word for 'man.' The Sanskrit (and Pâli) speaks of a manusyas, 'man,' purusas, 'man,' or bâlas, 'young man, boy, fool.' This fellow is faced with a difficulty having to do with entering a higher state. It is therefore clear that Gr. plou-si-os translates San. pu-ru-sas as well as the two syllables of bâlas. The San. p-r-s-s has become Gr. p-l-s-s. The Greek has an extended sense. San. l and r are semivowels and as such equivalent (cf. râjâ/lâjâ). The plousios is compared to a kamêlos, 'a camel.' In the San. the entering man was compared to an entering kûrmas, 'turtle.' Without any doubt, the San. k-r-m-s has become Greek k-m-l-s. The turtle has become a camel. The r in the San. has again become l in the Greek. Interestingly, some of the Greek manuscripts offer the variant kamilos, a rare word meaning 'das Schiffstau' (Bauer), 'rope' (Liddell & Scott). Bauer, s.v., thinks that it may be old but also that it does not belong to the NT. But considering the fact that kamilos is a lectio difficilior and that the image of a rope for ship comes close to the neck of the turtle in the ocean, the kamilos may well be more authentic than the kamêlos. The kamilos retains the maritime imagery. In any case, we have kûrmas behind kamêlos as well as kamilos. Even the grîvâ, 'neck,' has left a trace in the Greek words (g-r = k-l). Matthew 19:23, Mark 10:23, and Luke 18:24 say that it is 'hard,' to enter the kingdom of the heavens (Matthew) or the kingdom of God (Mark, Luke). The Greek word for 'hard' is dus-kolôs. The corresponding adjective is dus-kolos. The Sanskritist has no problems in recognizing that Gr. dus-kolos is a perfect rendering of San. dur-labhas, 'rare,' and dus-karas, 'difficult, hard to do.' The dur-labhas was used in this very context in the quotation from the Saddharmapundarîkasûtram given above. Many examples show that a given Greek term may be a translation of several different Sanskrit words at the same time. Then we have the Gr. eu-kopô-teron in Matthew 19:24, Mark 10:25, and Luke 18:25. It means 'it is easier.' It is from eu-kopos, 'easy, easy to do.' In the NT it only occurs in the comparative form. It is easy to think that Gr. eu-kopô-teron may be the comparative form of the common San. su-karas, 'easy to do.' But when we compare the original source, which corresponds to Majjhima-Nikâya III, p. 169, we see that the comparative form is khippa-taram (said of the movement of the turtle), corresponding to a San. ksipra-taram, 'more quickly.' The Pâli then goes on to say: dullabhatarâham, bhikkhave, manussattam vadâmi sakim vinipâtagatena bâlena. The San. would be dur-labha-taram, 'even more difficult,' confirming the dur-labhas above. The Greek eu-kopô-teron, therefore, is intended to translate San. su-ksipra-taram, 'far more quickly.' It is difficult, but in the end merely a question of time. The person who comes to Jesus is not only referred to as a plousios (= purusas, as said), but also as neaniskos, 'a youngster,' or rather ho neaniskos, 'the youngster,' Matthew 19:20. One wonders how young this rich fellow actually was, for Luke 18:15 introduces him as tis...arkhôn, 'a certain ruler,' saying nothing about his age. We cannot, of course, at all be sure that Matthew, Mark, and Luke are speaking of one and the same person. Behind the four syllables of ho neaniskos we easily recognize the Sanskrit technical term navatarakas, a younger Buddhist monk, e.g. Mahâparinirvânasûtra 41:3-4. The pentasyllabic navatarakas becomes the pentasyllabic Gr. synonym ho ne-a-nis-kos. Now we also understand the point about him: coepit autem dives scalpere caput suum. This was the convert who kesasmasrûny avatârya etc. in order to become a monk (e.g. Catusparisatsûtra 19:1). The reference to tonsure is omitted in the canonical Gospels, where the disciples are no longer Buddhist monks. In the Majjhima-Nikâya it was a question of the bâlas in hell for whom it was so difficult to be reborn as a human being. The San. bâlas, as known, not only means 'young' but also 'naive, immature, ignorant.' This means that ho neaniskos also translates San. bâlas, which again was also translated by plousios (which, again, translated San. purusas). One of the many synonyms of San. bâlas is paras, the gen. plural of which is paresâm. San. paresâm in Catusparisatsûtra 8:3 becomes nêpiois in Matthew 11:25 (p-r-s-m = n-p-s; the r is lost as often). When paras has the sense of bâlas, there is a pun in the Sanskrit itself: b-l-s = p-r-s.
Matthew speaks of entering the kingdom of heaven, tên basileian tou ouranôn, whereas Mark and Luke speak of entering the kingdom of God, tên basileian tou theou. These variants have puzzled theologians for centuries. The original San. speaks of entering the deva-par(i)sadam, the assembly of the gods. The San. deva- may either be taken as the plural, which gives us devânâm becoming ouranôn, or as the singular, which gives us devasya becoming tou theou. We are, therefore, dealing with two different renderings of one and the same San. deva-parisadam. In both cases San. parisadam becomes tên basileian (p-r-s-d-m = t-n-b-s-l-n). When the Greek has tê basileiâ, 'in the kingdom,' the San. is, as a rule, parisadi, or parsadi (p-r-s-d = t-b-s-l). In other cases, by way of a fanciful but typical nirukti, 'etymology,' Gr. our-a-nôn simply renders nir-vâ-nam! As if the our- was a negation like nir- etc. Such puns are typical of the Buddhist texts. This piece of information is priceless! Brahmâ has become Abraham, Sakra has become Isaac, and Kubera(s) has become Jacob, Greek 'Iakôbos. The kingdom of the gods, or of god, in which they were sitting, was a building in the kingdom of Kapilavastu. What I am saying is that the mythical topography of Matthew 8:11 can only be understood in the light of the source that is being translated, viz. SBV I, p. 196. There is, to be sure, much more from that very source in what follows. The conclusion is inevitable: The celebrated kingdom of God (devasya), or of the heavens (devânâm), is to be found in Kapila-vastu (which, again, always becomes Kaphar-naoum, a homosynonym). Many shall come from the east and the west, says Matthew, but the sons of the kingdom shall be cast forth into the outer darkness, he adds. This was originally king Suddhodana who tried to enter the building from the east and from the west etc., but he was cast forth. Mere humans were not permitted to enter the building! Back to our young friend on his way to Kapilavastu! The Greek runs: kai epêrôtêsen tis auton arkhôn legôn, didaskale agathe. It consists of 13+4+3 syllables. The initial atha becomes the initial kai. The prasnam prcchati, 'he asks a question,' becomes epêrôtêsen, 'he asked,' also 5 syllables. The râjâ becomes the synonym arkhôn. The legôn, translating San. prâha (SBV I, p. 191), also contains an internal pun on the arkhôn. The arkhôn-legôn corresponds to the pattern theleis-teleios, Matthew 19:21 (r-kh-n/l-g-n; th-l-s/t-l-s). For more on teleios, see infra. The Bhagavantam becomes didaskale, a synonym, also 4 syllables. The agathe contains an obvious pun on (Tath) âgatha (vocative). There are numerous puns on Tathâgata/s/m in the Gospels. Even the title of the NT contains puns on the San. Tathâgatasya kâyam. The numerical value of Tathâgatas is 300+1+9+ 1+3+1+300+1+200 = 816, and that of kâyam is 20+1+10+1+40 = 72. When we add 816+72, we get 888, and 888 is, in fact, the numerical value of 'Iêsous' = 10+8+200+70+400+200 = 888. This means that Jesus is the same as the body of the Tathâgatas. We have his own words for it! At the same time, San. kâyam is translated by kainê, 'new' (k-a-y-m = k-a-i-n), and the tês diathêkês in Matthew 26:28 = Mark 14:24 translates Tathâgatasya, also a pentasyllabic genitive in the same position. In other words, Jesus is identical with the body of the Buddha, which is also the title of the New Testament as a whole. The book incorporates Tathâgatas, alias Jesus. But back to our simile! The arkhôn, therefore, was the father of Sâkyamuni(s) from Kapilavastu, i.e., king Suddhodanas. There is a pun on the 4 syllables of his name in the Greek -sen tis auton (s-d-dh-d-n-s = s-n-t-s-t-n: n and t and d(h) are equivalent dentals). To be sure, in Matthew 16:16 ho Khristos ( = ksatriyas = Sâkyamunis) is said to be the son 'of god the living,' theou tou zôntos. Here theou tou zôntos, genitive, renders the genitive Suddhodanasya (s-d-dh-d-n-s = th-t-z-n-t-s). To be sure again, in Matthew 21:19: sukên mian, 'one fig' renders San. Sâkyamunim (s-k-m-n-m = s-k-n-m-n). And let me also here add, that the numerical value of Sâkyamunis is 200+1+20+10+1+40+400+ 50+10+200 = 932. But 932 is also the numerical value of the celebrated to haima mou, 'the blood of mine' = 300+70+1+10+40+1+40+70+400 = 932. This means, then, that the celebrated words of Jesus during the Last Supper provide the proof that the New Testament is identical with Sâkyamunis, the body of Tathâgatas, with Jesus himself. So the arkhôn is the râjâ in Kapilavastu, king Suddhodanas (nominative form), the father of Sâkyamunis, of Bhagavat, of Tathâgatas. With this identification in mind it becomes possible to make sense of Matthew 19:26: "But Jesus looked (at them and) said to them, 'With men this is impossible, but with God all things are possible.'" The Greek: emblepsas de ho 'Iêsous eipen autois: para anthrôpois touto adunaton estin; para de theô dunata panta. What, exactly, does the 'this,' Gr. touto, refer to? The context suggests that it is 'entering the kingdom of the heavens' that is difficult for men but not for God. And this is true as we can see from the original source, which is, as said, SBV. Bhagavat is sitting in the building (samsthâgâre = sunagogê, four syllables in both cases) in Kapilavastu teaching the Dharma in the pure assembly of the gods (suddhâyâm deva-parsadi). The king also wants to enter. But four guardians are posted at the gates, and when they see him, they say that a mere man, a simple human being, is not allowed to enter. Each of the four men at the entrances says the same in slightly different words: nâtra mânusamâtrasya praveso 'sti; nâtra manusyapraveso 'sti; yatra manusyabhûtasya na praveso labhyate; nâtra manusyabhûtasya praveso labhyate; SBV I, p. 197). The gods, on the other hand, are permitted to enter. They are in a kingdom of god(s) that is 'pure' (suddhâyâm devaparsadi). Now it is easy to make sense of Matthew 19:26 and the parallels in Mark 10:27 and Luke 18:27. Even the drstvâ becoming emblepsas is there. They look at him and prevent him from entering the 'kingdom of the heavens' - the assembly of the gods. There is, in the San., also a pun on the name of the king, Suddhodana, who, as a mere human being, is considered a-suddha, namely as opposed to the pure assembly of the gods. Summing up, we are dealing with two entirely different Buddhist sources that have, however, one motive or term in common, namely the enormous difficulty of entering - pravesa - a better or more attractive state of being. It was extremely difficult for the turtle by chance to put its neck through the hole in the yoke, and it was almost impossible for the king to enter the 'church' with the pure assembly of the gods. Matthew, followed by Mark and Luke, combined elements from these two stories - themselves transmitted with many variants - and the result was the story of the rich man, or the young man, or the ruler, who had enormous difficulties in entering life eternal, or the kingdom of the heavens or the kingdom of (the) god(s). The para de theô in Matthew 19:26, becoming para tô theô in Mark and Luke, is based on the deva-parsadi in the original. The deva- becomes theô, and the par-sa-di becomes either pa-ra de or pa-ra tô. The important thing for the evangelists is to retain a dental (d or t) corresponding to the -di in par-sa-di. In other words, the -di becomes either de or tô. The de in Matthew is odd Greek , and was therefore changed by Mark and Luke to tô. But Matthew's de comes closer to the original -di. That is why he chose it. None of the evangelists managed to retain the -sa- of par-sa-di. In order to 'enter life,' eis tên zôên eiselthein, Matthew 19:17, one must keep the commandments, Greek entolas. The entolas has a pun on San. dharmas (dh-r-m-s = n-t-l-s), and the commandments (not to kill, not to commit adultery, not to steal, not to tell lies etc.) are not only in accordance with those of Moses but, at the same time, with the five precepts (panca-sîlâni) of the Buddhists (not to take life, not to steal, not to commit adultery, not to tell lies, not to drink intoxicants). The final precept about not to drink intoxicants had to be changed, for Jesus is presented as a man who drinks wine, an oino-potês, Matthew 11:19, and as one who drinks the fruit of the ampelos, Matthew 26:29. In the Buddhist sources, the Tathâgatas is compared to the rare flower of the udumbaras. It is therefore clear that oino-potês as well as ampelos (and many other terms) contain puns on San. udumbaras (d-m-b-r-s = n-p-t-s = m-p-l-s). The udumbaras being the fig and the fig-tree, the pun on sukên mian, 'one fig,' quoted above, is also obvious. Sâkyamunis is 'one fig,' for he is also like the udumbaras. The Buddhist precepts are, in other words, not merely assimilated to but even identified with the commandments of Moses. By keeping the five dharmas, a Buddhist may expect to be reborn in svarga, 'heaven.' This is also understood. The odd ti eti husterô in Matthew 19:20 contains a pun on the uttare in SBV I, p. 197, our main source. Mark changes to husterei, but Luke replaces it by the synonym leipei. The subject is still the vayam, which becomes the hêmeis. But the verb now becomes transitive and accordingly takes the sarve as an object, the panta. Matthew sticks to the words, not to the sense. The subject may become the object. The following ti ara estai hêmin is based on the tvam kim karisyasi (SBV I, p. 203) etc. In the original it is Devadatta who unwillingly becomes a pravrajita in the hope of getting the kingdom. He says: pravrajâmi, pravratija eva râjyam kârayisyâmi (SBV I, p. 203). This is absolutely unintelligible without knowledge of the original source, which is here the Saddharmapundarîka. The expression 'Son of man,' ho huios tou anthrôpou, translates San. saddharmapundarîka as a whole, also 7 syllables. The epi thronou doxês autou renders a saddharmasya pundarîka. The epi thronou renders the consonants of anthrôpou , for n-th-r-p = p-th-r-n - and the genitive sad-dharmasya becomes the genitive doxês autou, also 4 syllables. He is speaking of the glory of the saddharma. In Mahâyâna, the Tathâgata and his sons, the bodhisattvas, are typically depicted as sitting on lotus thrones. The lotus of the true dharma is thus a personification of the Tathâgata. The Buddha is the flower of the good Dharma. In the SDP, Sâkyamuni is surrounded by 1200 apostles (vasîbhûtas = apostolos). The 1200 apostles sitting on lotus thrones are, of course, reduced to 12 apostles sitting on thrones, judging the 12 tribes of Israel. In Matthew 19:25, the disciples express their great astonishment, hoi mathêtai exeplêssonto sphodra legontes. This is a variant of the common phrase, cf. e.g. Matthew 9:33: kai ethaumasan hoi okhloi legontes, or Matthew 21:20: hoi mathêtai ethaumasan legontes, etc. bhiksavah samsayajâtâh sarvasamsayacchetâram buddham bhagavantam prcchanti (e.g. SBV I, p. 145). In SDP, the bhiksavah of the Hînayâna, are, as a rule, replaced by the mahâsattvâs = bodhisattvâs of Mahâyâna. Matthew follows Mahâyâna, which 'includes' Hînayâna. The San. mahâsattvâs becomes Greek hoi mathêtai, 'the diciples.' Behind the math- we have San. mah(â)-, as when Mahesas (i.e. mahâ + îsas, 'great lord' becomes Math-theios etc.). The kathayati, or kathayanti, at the end of the sentences of course becomes legontes, also at the end of the sentence. The Greek thus gives the sense, the sound and the position of the original at the same time. The param vismayam âpannâh and samsayajâtâh are more or less synonyms. In Greek they are translated by the synonyms ethaumasan and exeplêssonto sphodra, i.e. by 4 or 7 syllables, where the original has 5 or 8 syllables. Matthew was simply carried away by a San. original prcchanti, or rather prcchantas, 'asking.' First he gave the sound, then the sense. Often the Greek palin, 'again' introduces a new paragraph, e.g. Matthew 19:24. In most cases such a Greek palin precisely renders the San. punar, 'again' (p-n-r = p-l-n). It also proves the identical value of l and r.
In the Gospels, the technical term palin-genesia, as said, only occurs in Matthew 19:28. As the commentaries on that passage show, the understanding of palin-genesia has created enormous problems for Christian interpreters unwilling to accept any sort of Indian doctrine of 'rebirth' in their holy writh. In the NT, there is only one other occurrence of the crucial term, namely Titus 3:5: dia loutrou palin-genesias, 'through (the) washing of regeneration, bath of rebirth' - an absolutely obscure expression! The Greek combines two different Sanskrit terms, as often. First of all, palin-genesia is a good literal translation of San. punar-bhavas, know from so many Buddhist texts. It means 're-birth,' viz. as god, human being etc. When one sees the truths, the nâstîdânîm punarbhavah, 'now there is no rebirth' (Mahâparinirvânasûtra 3:5 etc. etc.). So here rebirth is something that one has to get rid of. On the other hand, there is also rebirth in a positive sense, namely the prâdur-bhâvas of a Tathâgata. In SDP 15 it is a fundamental doctrine that: durlabha-prâdur-bhâvâ hi bhiksavas tathâgatâ iti (Kern ed. 319 etc.). And from other sources we likewise learn that the Tathâgatas are only seen very rarely, just like the flower of the fig tree: durlabhadarsanâs ...tathâgatâs, tadyathodumbare puspam (Mahâparinirvânasûtra 42:10 etc.). But their prâdur-bhâvas, or utpâdas, is nevertheless a fact. They are seen, albeit rarely. Again and again (punah punah), the Tathâgata is in the world of the living (jîva-loke) (SDP 15:7). The measure of his life is unlimited (aparimitâyuspramânas), and the measure of his life is not quite filled (âyuspramânam apy aparipûrnam) (SDP, p. 319-320). Now we come to a better understanding of the initial question of the man who came to Sâkyamunis, alias Jesus: The pun ti agathon on Tathâgatam, and the question about life that is aiônion, 'eternal.' He would like to become a Tathâgata whose life is unlimited. This is, in fact, what the SDP promises that all living beings can attain. Hence, his question makes sense in the light of the SDP. Now we also finally understand the meaning of the palin-genesia when the Son of man etc. will be seen sitting on the lotus throne. Here, the palin-genesia of the Son of man is the prâdurbhâvah of the Tathâgata, quoted above from the SDP. In the SDP, Sâkyamunis says that his death is merely a show. He does not really die. He is, all along, present with his disciples on the mountain Grdhrakûta (SDP 15:6). The mysterious mountain of Matthew, was, of course originally the Grdhrakûta mountain. Jesus, therefore, did not really die. The so-called crucifixion was only a show. There is more - as if this was not enough! In my book Hemligheten om Kristus and elsewhere, I have pointed out many puns on the sense and the sound of Tathâgatas/m and on Saddharmapundarîka, the title of the most important Mahâyâna source of the Gospels. Again and again, Jesus says that his disciples should take Tathâgatam (accusative) and the Saddharmapundarîka and give it to all living beings. If they receive the Dharma in this way, their faith will save them. Eventually all living beings will become Tathâgatas. By reading the SDP for themselves and by comparing the Greek words in question, readers can confirm that I am speaking the truth. Therefore I claim that the NT is propaganda for Mahâyâna. Leaving it to the reader to count the words and the syllables, to check the meaning etc., I only note that the numerical value of pundarîka - 'the number of him' is exactly 666. If the skeptical reader were to ask for one proof, just one proof, that the SDP is a source of the NT, this would be a good piece of proof. As will be recalled, the man who came to Jesus was asked to keep the commandments - the Buddhists precepts assimilated to those of Moses. The young man said that he had in fact observed these commandments. 'What do I still lack?,' he then asked. This is a strange and also an important passage. It makes perfect sense that one should take the sûtram, the book that contains the Saddharma of Tathâgata, Sâkyamuni etc. It does not make sense that one should take the cross. The disciples are, of course, never reported to have done so. Luke 9:23 even says that one should take the stauron daily! Daily crucifixion with all that such an absurdity would imply?! In the light of this and many similar passages we would expect Jesus to say that one should sell or take the sûtra, the Saddharmapundarîka-sûtram. Who ever became 'perfect' merely by selling his belongings and giving (the money?) to the poor? We would expect Jesus to make a pun on the famous sûtra. San. sûtra becomes Greek sou ta, and the uparkhonta contains all the original consonants of San. pundarîka (p-n-d-r-k = p-r-kh-n-t). The thêsauron translates, again San. sûtram (s-t-r-m = th-s-r-n). Greek thêsauron not only gives the sound but also the sense of San sûtram. It gives it perfectly, for a sûtram is also a treasury or storehouse, for it contains the treasure of the SDP. Note that the wonderful pun on sou ta huparkhonta is totally lost in Mark and Luke! Like so many other examples, this again indicates that Matthew was the first evangelist. Our evangelist must have been pleased with his pun on Pundarîka, for it is repeated and expanded Matthew 25:14: PaReDôKeN autois ta huPaRKHoNTa autou - Pundarîka, Pundarîka. His motive for making such puns on the SDP? According to the SDP one attains salvation by repeating the title of the SDP. Millions of Chinese and Japanese Buddhists still share this view. Look at the Internet under Lotus Sutra, and you will find that millions of devotees still believe that they will attain salvation merely by chanting 'Sad-dhar-ma-pun-da-rî-ka-sû-tram' - i.e. by chanting Revelations 13:18: a-rith-mos-gar-an-thrô-pou-es-tin! The technical term for a Mahâyâna missionary who takes the SDP and gives it to others, is sûtrânta-dhârakas (SDP, passim). A sûtrânta-dhârakas is, of course, also a dharma-bhânakas - found in the title of SDP 18. Matthew has, as we would expect by now, also references to the sûtrânta-dhârakas. San. -dhârakas becomes Gr. ergates in Matthew 9:38 (dh-r-k-s = r-g-t-s), which is quite according to the rules. The Lord of the harvest, therismou, who sends out the laborers, ergates, 'into his harvest,' eis ton therismon autou, is the Lord of the sûtram or sûtrânta, who sends out the dhârakas for the sûtram or sûtrântam (s-t-r-m, s-t-r-n-t-m = s-t-n-th-r-s-m-n-t; only one r is lost. In Matthew 10:10, we have the expression ergatês tou trophês autou which Luke 10:7 changes to ergatês tou misthou autou. The genitive forms are not just to be construed with the axios, 'worthy of.' The ergatês is still dhârakas, and the trophê and the misthos are probably intended to account for the sense of the sûtram. The two Greek words are more or less synonyms of the huparkhonta, 'the belongings,' above. The sûtra is the food and the salary of a worthy sûtrânta-dhârakas. One of the many synonyms for the message of a sûtram, is kalyânam. Each of the four Gospels is called an eu-aggelion. This term therefore translates the sense as well as the sound of San. kalyânam. The kalyânam becomes an-gelion (k-l-y-n-m = n-g-l-i-n). The su- is a synonym of kalyânam. San. sûtram is often understood as a synonym of sûktam, 'well said.' This is also the sense of eu-aggelion. Greek eu-aggelion therefore also translates San. sûtram as well as kalyânam. The eu-aggelistês is one who brings the kalyânam or the sûtram. An evangelist is therefore originally a sûtrânta-dhârakas. The SDP , it is said, contains the body of the Tathâgata. The sûtram may be placed inside a stûpa. In this case, the stûpa contains the body of the Tathâgata. In the Gospels, the words teleios, 'perfect' only occurs here , Matthew 19:21, and in Matthew 5:48, where it is an attribute of the heavenly father, who is 'perfect': ho patêr...ho ouranios teleios estin. To be teleios, we gather from Matthew 19:21, consists in selling the sou ta huparkhonta = Pundarîka-sûtra, and in giving (it) to the poor - kai dos ptôkhois. To understand this enigmatic statement, we must consult the original source, which, again, is the chapter on the dharma-bhânaka in the SDP. Here we find the Sanskrit word for 'perfect,' namely parinispannas, which, therefore, is translated by the Greek teleios perfectly. The Sanskrit text is in Kern, p. 226. A kulaputras (becoming Greek paralutikos, for k-l-p-t-r-s = p-r-l-t-k-s) is parnispannas when he puts the Pundarîka-sûtram into a book, San. pustake, i.e. when he copies it in writing, or has another person, his 'printer' or 'publisher,' do so. The text of the sûtram can be transmitted either as kâya-gatam, 'gone into one's blood,' or as pustaka-gatam, 'in the form of a book.' Such a perfect person is a messenger of the Tathâgata, a tathâgata-dûtas, an envoy of the Tathâgata, one who does the duty of a Tathâgata etc. In the end, such a person will also become a Tathâgata himself. For him, the text thus becomes a treasure in heaven. In SDP p. 219 we have the expression Saddharma-kosa-dharas, 'a holder of the treasure of the Saddharma.' (This also proves, cf. above, that sûtra = kosa = thêsauros.) The sound of the SDP is heard coming from heaven. The message of the SDP can, in fact, be boiled down to this commandment: Publish the SDP widely, and you will be a perfect Tathâgata yourself. This, as known, is a common doctrine of virtually all Mahâyâna sûtras. Perfection consists in propaganda for the scriptures of Mahâyâna. Now, with the Sanskrit original in our minds, we understand that the curious Greek phrase kai dos ptôkhois contains a pun of the Sanskrit pustake and pustaka-gatam. The gatam, nominative gatas, becomes kai dos (g-t-s = k-d-s), and behind the ptôkhois we have the San. pustaka- (p-s-t-k = p-t-kh-s). The sûtra should be 'given to the books,' and thereby also to 'the poor,' i.e. to all those who are in need of it. By doing so one will become perfect. In Matthew 5:43-48, the disciples could become perfect, like their father, by loving all people. They should send rain on the just and on the unjust, as it were. The source is the parable of the cloud of Dharma, that sends rain on all kinds of plants, SDP 5, also the source of the parable of the Sower. So, perfection consists in spreading the SDP. The perfect man is the publisher of the Lotus Sûtra. By doing so, one will turn up again along with the Son of man, i.e. along with other Tathâgatas. The parables of the kûrmas and the udumbaras were also in the SDP, as already pointed out above. They are examples of the rareness and difficulty of rebirth as a human being or as a Tathâgata. Going back to Matthew 19:18, Jesus said: têrêson tas entolas. 'Keep the commandments,' is a correct translation, but it is not the only translation. This identification also solves another old puzzle, and, at the same time, corroborates my thesis, that the NT is SDP propaganda. I am, of course, thinking of Revelations 13:18, where the number of man is said to be 666. The pun-da-rî-ka becomes gar an-thrô-pou (p-n-d-r-k = g-n-th-r-p). The sû-tram becomes es-tin, with the r from the (ga)r (s-t-r-m = g-s-t-n). The sad-dhar-ma becomes a-rith-mos (s-ddh-m-s = r-th-m-s). Greek arithmos is also a very interesting translation of dharmas, and its synonym sad-dharmas (three syllables as a-rith-mos). Moving to another level, we ask: But what became of the arithmos 666? pundarîka = 80+400+50+4+1+100+10+20+1 = 666. So, the numerical value of man is the numerical value of pundarîka. The title of the SDP can be taken as meaning 'The sûtra of the Lotus man of the True Dharma.' The Lotus man is the Tathâgata born from and sitting in the Lotus. It also refers to his 1200 little sons, the bodhisattvas sitting in Lotus thrones. The Tathâgata is always spoken of as their heavenly father. They also fly through the air sitting in their padminî, a lotus. That is why Jesus baptizes in the wind, pneumati. San. padminî becomes Greek pneumati (p-d-m-n = p-n-m-t). It cannot, therefore, be denied that the Saddharmapundarîkasûtram is one of the main sources of the New Testament. The SDP repeatedly prescribes the use of symbolical language (samdhâ-bhâsâ, samdhâ-vacana)) when the dharma-bhânakas, the evangelist, has to spread the Saddharma all over the world. He has to be good at using tricks (upâya-kausalya), which includes not only parables etc., but also fanciful etymologies - which is the sense of the frequently used term nirukti. Matthew etc. followed this advice when they rendered kûrmas by kamêlos etc. The NT - even the very title - is replete with such samdhâ-bhâsâ. One must have ears to hear the Sanskrit behind the Greek - the samdhâ-bhâsâ - otherwise one cannot understand it properly. When we compare the Greek text of Matthew with the corresponding original Sanskrit texts, we can see that Matthew's text is a sort of mosaic, a collage or patch-work consisting of words and sentences taken from various passages in the Sanskrit and then combined into a new whole. The individual units are always determined by a certain number of words or syllables reflecting the original. About the 'historical' Matthew we know next to nothing. The most important piece of information about Matthew as a writer comes to us from a note ascribed to a certain Papias, said to have been bishop of Hierapolis around A.D. 130. This Papias himself is also somewhat of a suspicious character. His name may well contain a pun on San. Pâpîyâs - the 'Devil' of Buddhism. The Greek text runs: Mat(h)thaios men oun Ebraïdi dialektô ta logia sunetaxato, hêrmêneusen d'auta hôs ên dunatos hekastos. The extremely significant notice of Papias has often been discussed - but never clearly understood. It simply means what it says: Matthew combined the words (from the Sanskrit sources) in the Hebrew dialect (of the Greek language); each one of the others (Mark etc.) interpreted the same logia as best as he could. This idea of 'combining,' which is what the Greek sunetaxato ('he arranged together') means, is so typical of the Buddhists sûtras. They combine familiar names, words and sentences from old sûtras into new sûtras. In this way we end up with a new dharma-paryâya. Kern's rendering of the verb samsyandisyati by 'reconcile' is not quite accurate. The San. means that 'he will make them flow together.' The verb, therefore, is a synonym of the Greek verb sun-etaxato. He combines worldly sayings etc. with the principle of the (Buddhist) Dharma. By combining worldly expressions etc. with a deeper sense of the Dharma we not only end up with a sort of mosaic, but also with what the SDP often refers to as samdhâ-bhâsâ, symbolic language. This means that the worldly expression is symbolic of some principle of Dharma. You say a, but you mean b. If one does not have the key to the code language the worldly expression of this language inevitably becomes 'secret' or 'mysterious' and confusing. In fact, samsyandisyati can also be translated by 'he will confuse.' A samdhâ-bhâsâ is thus not only a symbolic language but also a secret and confusing language. In Mahâyâna and in the Gospels the Lord simply loves to deceive or confuse his listeners! Quite correctly, Jesus is described as ekeinos ho planos, 'that deceiver,' Matthew 27:63. Behind this is the SDP notion of upâya-kausalya, not merely 'skill in means,' but rather 'being good at tricks.' In the SDP the Tathâgata often tells 'white lies.' The reason is, so it is claimed, that his listeners would not understand him were he to speak the plain truth. Jesus also makes this distinction between insiders and outsiders: 'To you it has been given to know the secrets of the kingdom of heaven, but to them it has not been given,' Matthew 13:11. 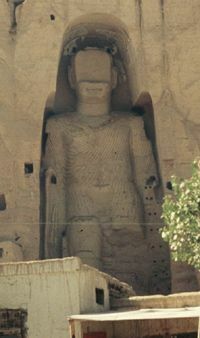 In the spring of 2000, Afghanistan's Taliban destroyed colossal statues of the Buddha, carved from a living rock cliff at Bamiyan, 145 km west of Kabul, 53 meters high and dated to the 5th century. Some readers or listeners know the secrets; others do not know the secrets. To those who do not know the secrets, Jesus speaks in parables, exactly as does the Lord in SDP. As I have shown by means of a few examples, the NT is full of 'hidden meanings' - samdhâ-bhâsâ, just like the SDP. Really, as historians, this should not come as a surprise to us. As has been pointed out by several modern authors, the Jesus story is a myth. In an important recent book, Timothy Freke and Peter Gandy remind us that Mysteries dominated the Pagan world. "The ancient philosophers were not so foolish as to believe that the Mystery myths were literally true, but wise enough to recognize that they were an easy introduction to the profound mystical philosophy at the heart of the Mysteries." "To wish to teach all men the truth of the gods causes the foolish to despise, because they cannot learn, and the good to be slothful, whereas to conceal the truth by myths prevents the former from despising philosophy and compels the latter to study it." "Philosophers and theologians do not disclose the meanings embedded in these stories to laymen but simply give them preliminary instruction in the form of myth." For the - for good reasons - unknown authors of the New Testament it was extremely important to 'conceal the truth by myths.' They kept their own identity a secret. They concealed their Buddhist sources - but thereby also compelled some of us to study them without being slothful. Jesus was a little bit too hasty when he thanked his Father for having 'hidden these things from the wise and understanding,' and for having 'revealed them to babes,' Matthew 11:25: The hidden source, it may now be revealed, is Catusparisatsûtra 8:2-3, q.v. The deepest of all the secrets in the NT is, according to the ipsissima verba of Jesus, that of the true identity of ho Khristos: 'The he strictly charged the disciples to tell no one that he was the Christ,' Matthew 16:20. Here, then, is a secret, a truth known to insiders, a profound truth that must never ever be revealed: The true identity of ho Khristos. Likewise, the secret identity of the Son of man was the Saddharmapundarîka, where Pundarîka had the numerical value of 666, the number of 'the Man' - the Son of man, the deva-putras, the theou huios, etc. etc. The simile of the turtle that became a camel was intended to show that it was extremely difficult, but not quite impossible, to enter the assembly of the gods. To become perfect one had to propagate the Saddharmapundarîkasûtra - the Gospel of the Son of man. For references to the original texts, see my book Hemligheten om Kristus, Klavreström 2003. As briefly mentioned, the NT Gospels are not only to be seen as copies of Buddhist Sanskrit texts. The numerical patterns of syllables and words in the Greek text also refer to geometry - lines, squares, triangles, circles etc. - almost without end. This is identical with the numerical value of 'my blood,' to haima mou: 300+70+1+10+40+1+40+70+400 = 932.0, Matthew 26:28. The title 'New Testament' is based on Sanskrit 'The Body of the Buddha' = 888 = the numerical value of Jesus (in Greek). The Sanskrit is Tathâgatas = 816 plus kâyam = 72 = 888. The numerical value of Jesus Christ (in Greek) is 2368, and the numerical value of Greek kosmos is 20+70+200+40+70+200 = 600. Jesus is closely related to kosmos, John 1:9-10, even the light of the kosmos, John 8:12. The 932.0 circle of Sâkyamunis with the 2968 diameter of Jesus Christ with kosmos, can thus be seen as a sort of geometrical demonstration of the historical relationship between Buddhism and Christianity. In this paper I have used a simplified mode of transcribing the Sanskrit words. Diacritics have been omitted in case of the consonants, but long and short vowels have always been indicated. Sanskrit scholars will have no difficulties with this novel procedure. The most handy of the many good Sanskrit dictionaries is Klaus Mylius, Langenscheidts Handwörterbuch: Sanskrit-Deutsch, Berlin, München, Wien, Zürich, New York 2001. The Greek text of Nestle-Aland (Stuttgart, 1993), and the Wörterbuch of Walter Bauer (Berlin 1988) is, needless to say, available to all scholars. I also assume that the reader is familiar with the some of the numerous standard commentaries on the NT gospels. Cheap, handy, and convenient is the Sonderausgabe, in ten volumes, of Herders theologischer Kommentar zum Neuen Testament, Freiburg in Breisgau, Basel, Wien 2001. The Buddhist sources and the numerical techniques are, however, not mentioned at all. Casa Editrice Sardini, Bornato in Franciacorta, Italy. Now difficult to procure! Buddhist Studies Review, 18(2) (2001), pp. 229-242. Derret, op. cit. (note ), p. 17. Raniero Gnoli, The Gilgit Manuscript of the Sanghabhedavastu, Part i-ii, Roma 1977-1978. Acta Orientalia 43 (1983), pp. 124-126. Journal of the Royal Asiatic Society, 3rd ser., vol. 12, July 2002, p. 225. Leipzig, Berlin 1925 (reprint Leipzig 1979), p. 95. E.g. by Paul Feine, Theologie des Neuen Testaments, Berlin 1953, pp. 68-88. The best of which is Alfred Schmoller, Handkonkordanz zum griechischen Neuen Testament, Stuttgart 1951. SDP, ed. H. Kern, p. 71 etc. J. Smit Sibinga, Literair Handwerk in Handlingen. Rede uitgesproken bij de aanvaarding van het ambt van gewoon hoogleraar in in de uitlegging van de geschriften van het Nieuwe Testament en de oud-christelijke letterkunde aan de Universiteit van Amsterdam op maandag 20 April 1970, E.J. Brill, Leiden 1970. Numerical Literary Techniques in John. The Fourth Evangelist's Use of Numbers of Words and Syllables, Leiden 1985. D.R. Shackleton Bailey, The Satapancâsatka of Mâtrceta, Cambridge 1951, p. 153; cf. ibid., p. 13 for more references to the other Sanskrit sources. E.g. Walter Bauer, Wörterbuch zum Neuen Testament, Berlin 1988. Cf. e.g. P. Feine, op. cit. (note ). See infra, and my paper "Gematria in the Gospels," op. cit. (note ). For the text and translation see e.g. A.F.J. Klijn, An Introduction to the New Testament, Leiden 1980, p. 199. The Jesus Mysteries, London 1999. Source: The Revisionist 2(1) (2004), pp. 12-24.